The day after Linda Bloodworth-Thomason wrote her scorched-earth op-ed about Les Moonves's CBS, ABC has brought her on to revive her most famous series. It's poetic justice, of a kind the Sugarbakers would probably appreciate. 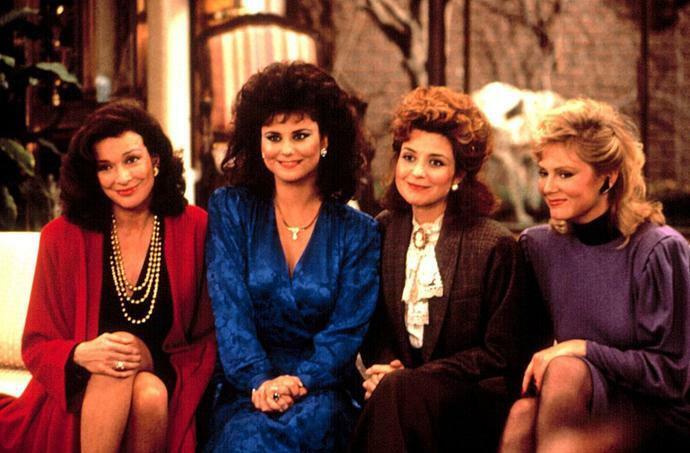 Per The Hollywood Reporter, ABC and Bloodworth-Thomason are developing a "sequel" to Designing Women, which ran for seven seasons on CBS. The series will "follow the next generation of Sugarbakers with a crop of new, young, female designers at an Atlanta interior design firm." Bloodworth-Thomason will write and executive-produce the multi-cam comedy with her husband Harry Thomason, working with Sony Pictures TV (Columbia Pictures produced the original run). "Normally, I'm not a fan of reboots but Designing Women does seem to have the right fengshui for all that is going on right now," Bloodworth-Thomason said in a statement. "We could definitely have some fun." According to THR, the surviving original cast members could "occasionally stop by" if the show goes to series, hopefully to deliver a blistering monologue or two.